World Hepatitis Day is later this week, but it is not too early to prepare! Today we share information about unsafe injections which can transmit hepatitis. 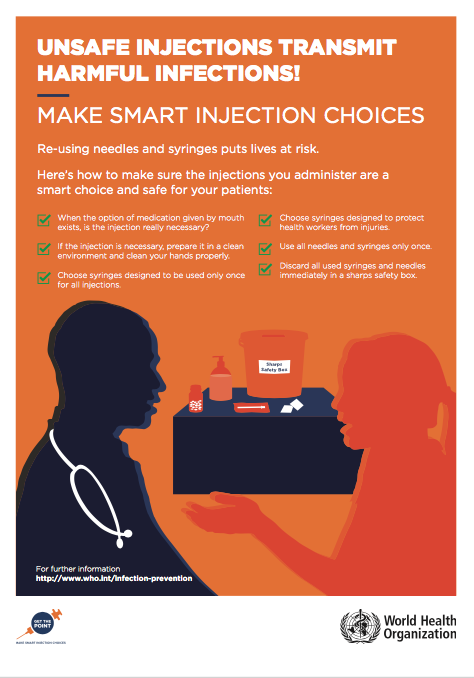 Today we are sharing a poster prepared by the World Health Organization on making smart injection choices. Do you know how to make sure medical injections are safe for you and your family? Please take a look at the poster and share with your networks. Watch for more information this week. But most importantly, do what you can to make sure injections don’t transmit hepatitis!